Unlike some other types of lemons, Meyer lemon trees bear fruit year round. This means that you can find them at many grocery stores and farmers markets even when other citrus fruit aren’t strictly in season. It also means that my Meyer lemon tree both has flowers and full grown fruit on it at the same time just about all the time – and I have plenty of one of my favorite citrus fruits to work with! Meyer lemons are a hybrid lemon that is know for being less acidic than most other lemons. This gives them impression that they are sweeter, since they deliver a lot of lemon flavor without too much “bite”. 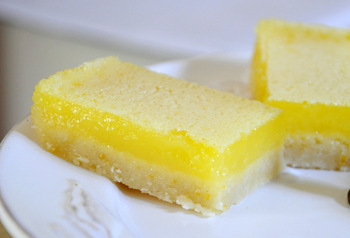 Meyer lemons are wonderful to bake with, and these Meyer Lemon Bars are a nice change of pace from classic lemon bars. They have a delicate, custard-like filling that is made with just eggs, sugar and lemon juice. It is silky smooth and similar in texture to the filling of a lemon meringue pie, which means that it is much more tender than the filling of some other lemon bars. The lemon layer sits on top of a buttery shortbread crust that is accented with Meyer lemon zest to give it a little more flavor and tie it in to the lemon layer. The shortbread layer is thick enough to support the filling without it getting soggy, even after the bars have been stored in the refrigerator for a couple of days. They are less tart than other lemon bars, but they’re not too sweet and they still have a lot of lemon flavor. 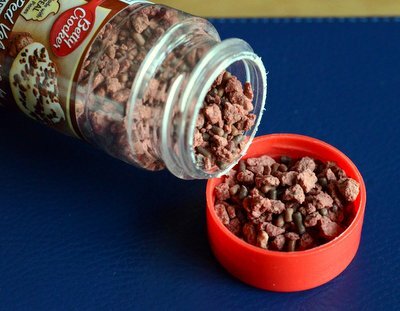 I usually finish them with a dusting of confectioners’ sugar to give them a clean look just before serving. The filling for these bars will still look quite wet when the bars are finished baking. When baking a cheesecake, you look for a slight “jiggle” of the filling to know when it is done and, while that is also true here, there will be a bit more jiggle because the filling starts off with more liquid in it. Don’t worry, though. The filling will set up as the bars cool and will set up further in the refrigerator. The silky smooth filling is loaded with lemon flavor and that is what makes these bars so delicious – and so much better than the lemon bars where the “filling” is thick enough to be a cake. Preheat oven to 350F. Line 9Ã—9-inch baking pan with aluminum foil. 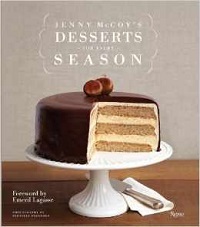 Top slices with confectionersâ€™ sugar to serve. Looks so sunny and delicious! A lovely recipe. 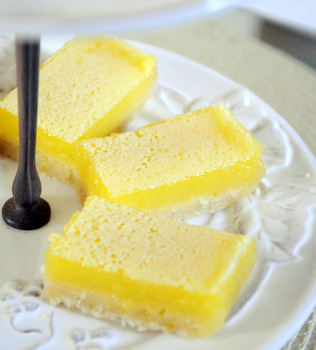 I can almost taste these lemon bars! Thank you for this recipe. We have a Meyer lemon tree an always have an abundant supply! Took these to a dinner party. They were a big hit. My crust was not crumbly but I think that was good because the bars did hold together very well. I served them with blueberries and a dollop of whipped cream. The blueberries were a great companion of the lemon flavor.